ClientView understands your need to protect your company information.To ensure we can work together without security problems, we use Citrix ShareFile™ to securely store and share confidential business files — and safely access them from anywhere on any device. 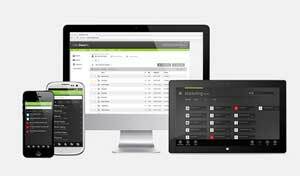 ShareFile safeguards files with state-of-the-art encryption protocols and datacenters equipped to protect against data loss, even in emergencies. All communications and data sharing between ShareFile and the user are encrypted using either Secure Socket Layer (SSL) or Transport Layer Security (TLS) encryption protocols and up to AES 256-bit encryption. Files are also protected while at rest on servers with AES 256-bit encryption, which reside in SSAE 16 accredited datacenters with features including hurricane-rated roofs and multiple redundant power sources. All data is automatically updated to servers in separate locations and backups are performed regularly, including off-site data backups, to protect against almost all disaster scenarios.